I am sometimes not very good at sticking to exact quantities in a recipe and that happened with these muffins but they turned out so well, that I don’t think it made much of a difference. I’ve given below the recipe (as it should be) but as I didn’t have frozen spinach, I wilted about 600g of fresh spinach leaves, used two tins of chickpeas and four eggs and adjusted the Parmesan and seasonings accordingly. This made quite a few muffins and some will be for breakfast, whilst the rest will be popped into the freezer for another day. Put the spinach and eggs in a food processor and pulse the ingredients together. Add the chickpeas and pulse until blended. Add the nutritional yeast, parmesan, paprika, salt and pepper and pulse again. Grease your muffin tins with oil and fill with the mixture (just over two-thirds full). Bake at 375° for about 25 minutes or until a toothpick comes out clean. These muffins are really moist, tasty and very filling. Ideal for breakfast, lunch box or taking out on a picnic. For breakfast, I reheated the muffins quickly and served them with some homemade tomato sauce, toast (gluten-free) and almond butter. My husband can’t wait to have them again. They are also delicious cold. 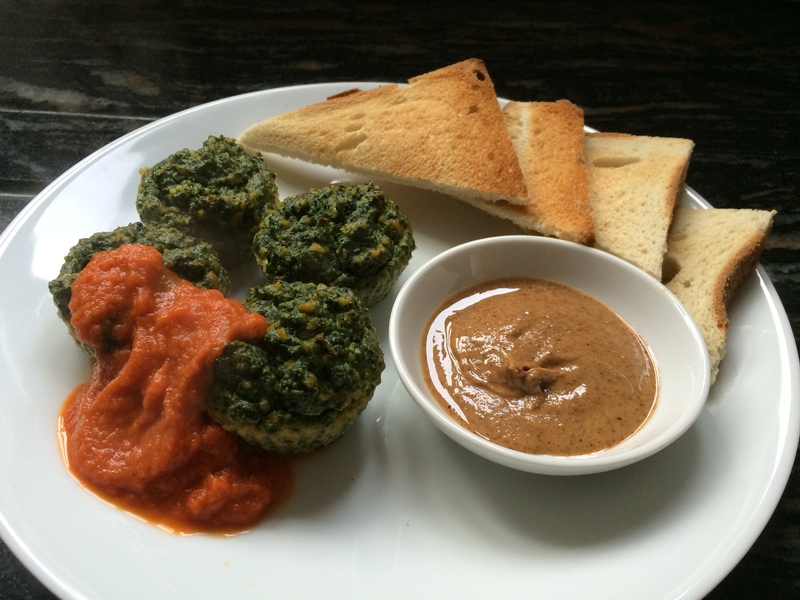 Chickpea and Spinach Muffins served with some homemade tomato sauce, gluten-free toast and almond butter. 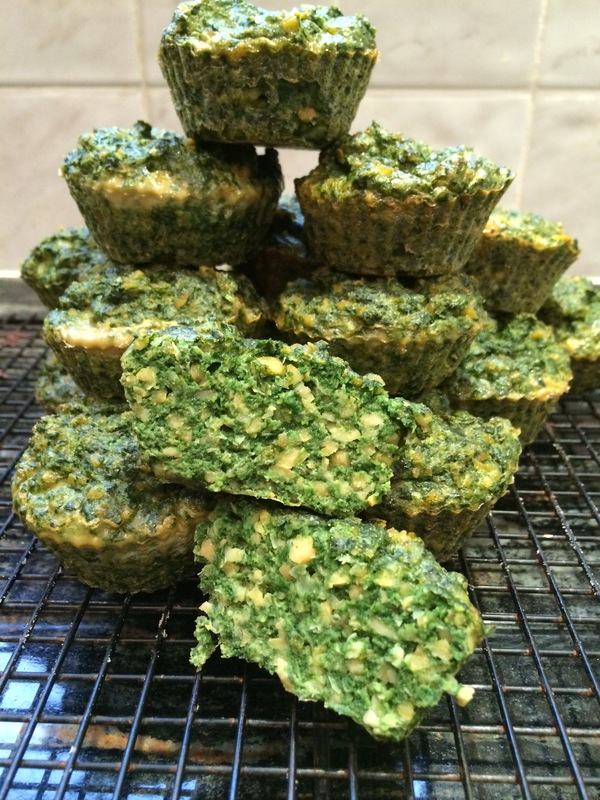 This entry was posted in Breakfast, Miscellany and tagged Breakfast, Chickpeas, Egg, Gluten Free, Healthy Eating, Muffins, Spinach, Wheat-Free. Bookmark the permalink.